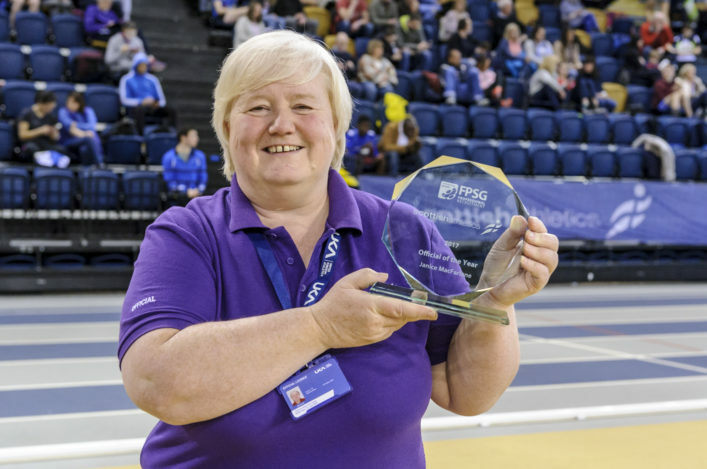 There was a nice moment at the FPSG National Open event last weekend when our Official of the Year, Janice MacFarlane, collected her award in person – after missing the Annual Dinner back in November. 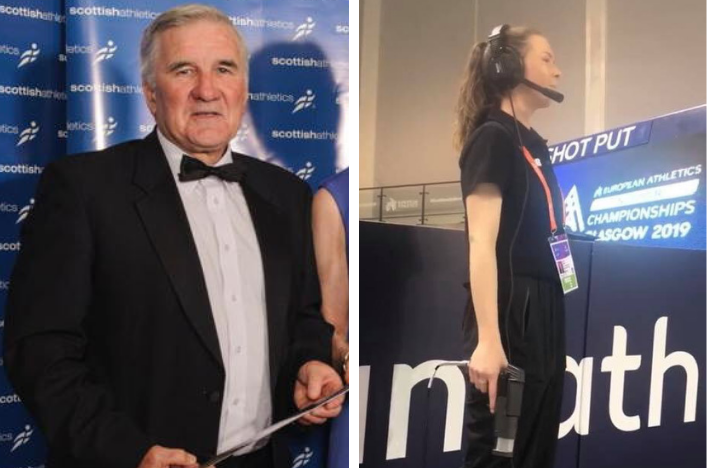 ‘Janice MacFarlane is both a scottishathletics official and a volunteer at many sporting events, including athletics. She demonstrates a high level of competency at whatever role she undertakes. 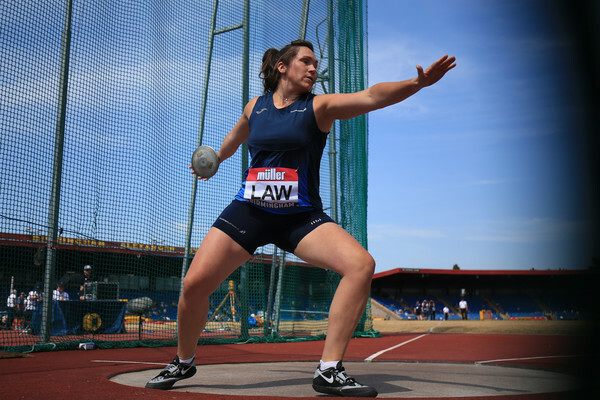 ‘Her progress within athletics demonstrates her commitment to the sport. 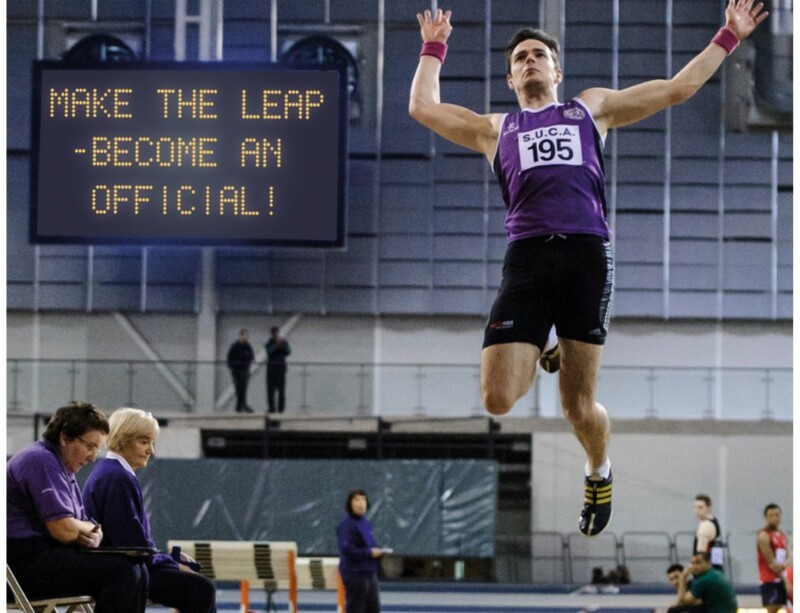 In July 2014 Janice MacFarlane was a volunteer at the Glasgow Commonwealth Games, with no officiating qualification. 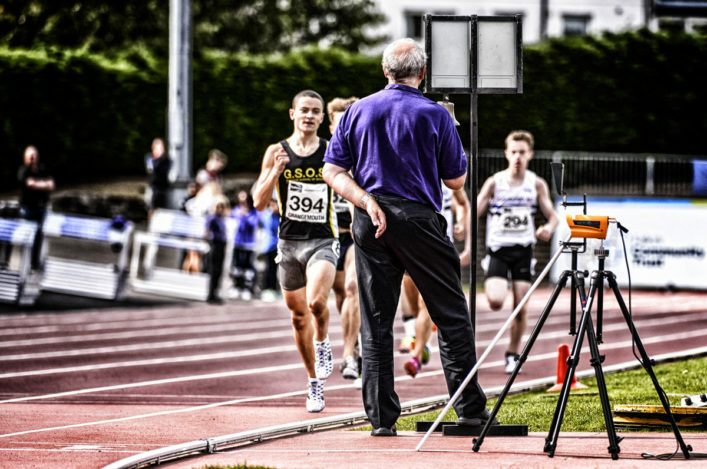 In September 2017, Janice qualified as a Level 3 Photo-finish official working and is working towards her Level 4 application, having already “chiefed” photo-finish at senior meetings during the year. ‘Janice is prepared to turn her hand to any duty – not just in her selected discipline of photo-finish but in any other role that is required. Her flexible approach and willingness to undertake these roles make her a valued member at whatever event she attends.